Facebook (NASDAQ: FB) announced on Thursday one new function that its users will now have complete access to, panoramic photo-uploads. The social media giant enabled the sharing of 360-degree photos on the news feed, which could be seen through the website or the app. The company shared on its blog the announcement and explained in a very simplistic way how its users can take and upload 360-degree photos. They can just take a panorama photo with their phone, using a photo app or a 360-degree camera, and then post it on Facebook as they would normally do. After that, the tech giant will convert the uploaded data into an immersive 360 photo that people can explore, similar how they had experienced 360-degrees videos on their social account, Andy Huang, Product Manager, stated in the press release. 360-degrees photos are already available to view in Facebook’s news feed, via the web and in the latest version of its app on iOS and Android systems. The recently announced feature is yet to be available over the next few days, the company stated. The photos will be easy to identify in the news feed according to Huang. Users will have to look for the compass icon on the right-hand side of the picture, and to explore the immersive post on mobile; they will have to tap or drag the photo or just move the phone around. Also, the Facebook 360-experience will also be available to explore by using a virtual reality device like the Samsung Gear VR, powered by Oculus. For this, the interested ones should click view in VR in the top left corner of the video, place the phone in the Gear Vr, and experience the photo in an immersive VR environment. 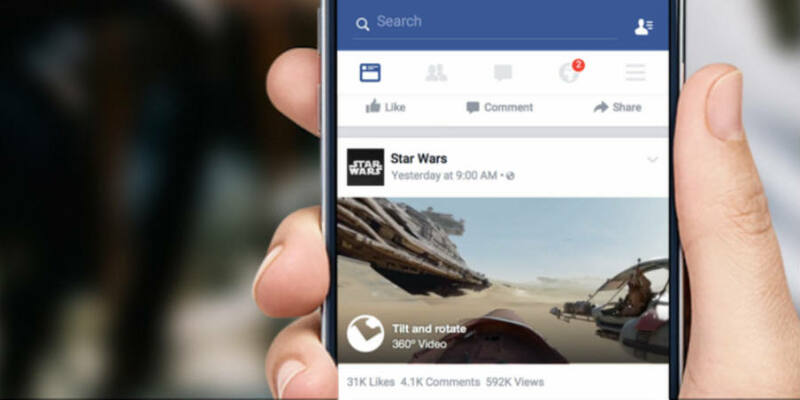 After the 360-degrees content had been introduced, Facebook was one of the first to present and host this new content. Now, Google-owned YouTube supports the content and has made some public uses, as well as Yahoo’s Flickr, as reported by Mashable. But in addition to just provide the content, the companies are looking to improve the access to such technology by developing their systems to do it and just avoid the third-party developers. Facebook recently announced a 360-degree video camera at its developer conference. Google has its Jump platform as well, the Jump camera, which consists of 16 camera modules in a circular array. According to its description, the size of the rig and the arrangement of the cameras are optimized to work with the Jump assembler. U.S. teenagers are smoking less, but why?